Southeast corner of Windsor & Rising Rd. 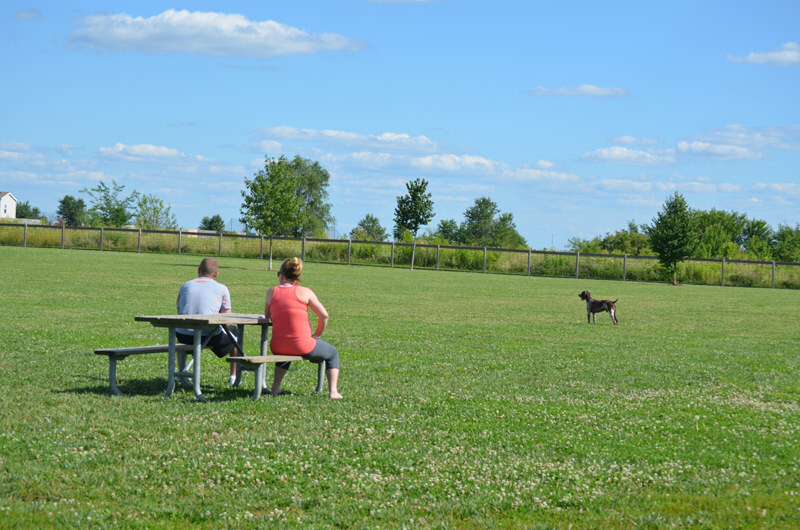 This park provides your dog a place to run off-leash and interact with other dogs and humans. Located on seven acres near the southeast corner of Windsor and Rising Roads, this park features a 4-foot fence, double-gated entry area, separate areas for large and small dogs, parking lot, and trash cans/dog waste stations. 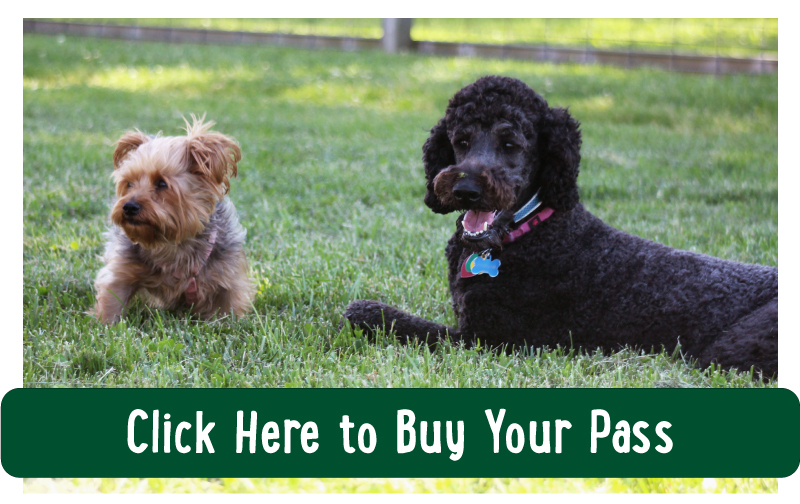 Purchase a one-year membership for your dog online or at the Leonhard Recreation Center or Springer Cultural Center. 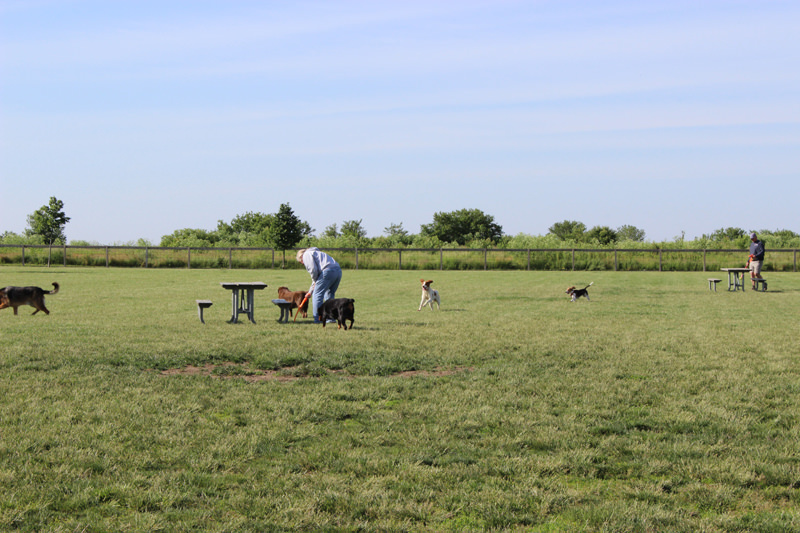 Dog park memberships are reciprocal with Urbana Park District’s dog park, so your membership is valid at both parks. Users found without proper membership tags will be asked to leave and may forfeit future park privileges. 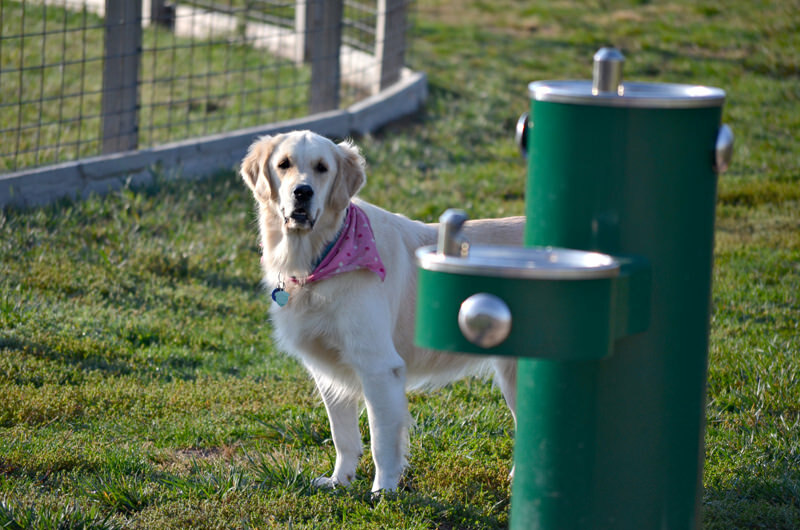 Want to check out the dog park before purchasing your membership? 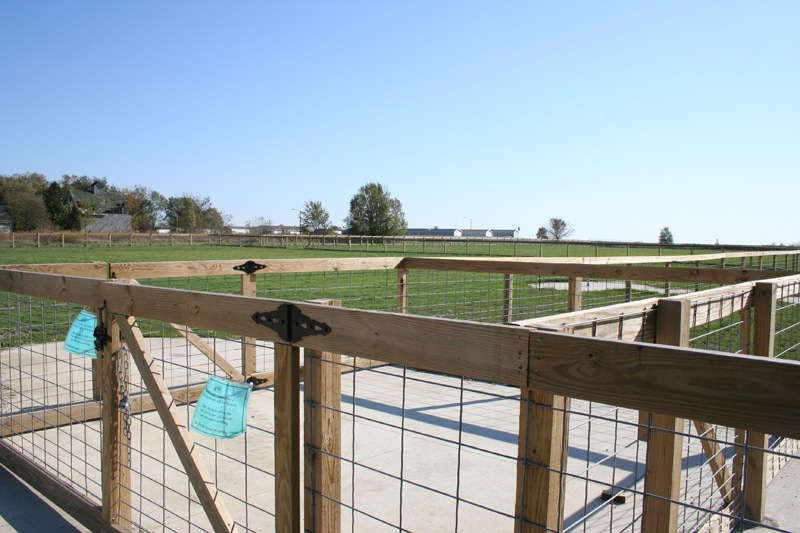 Daily admission passes are available at the dog park. Sign the waiver and release form and place it along with your $5 in the envelope provided. All dog park rules apply to daily pass holders. Obtain the following information – it is required to complete your membership registration. County registration form (or other proof of rabies vaccination). Current vaccination record from the vet (proof of distemper vaccination). Pay the membership fee. Resident and non-resident rates apply. 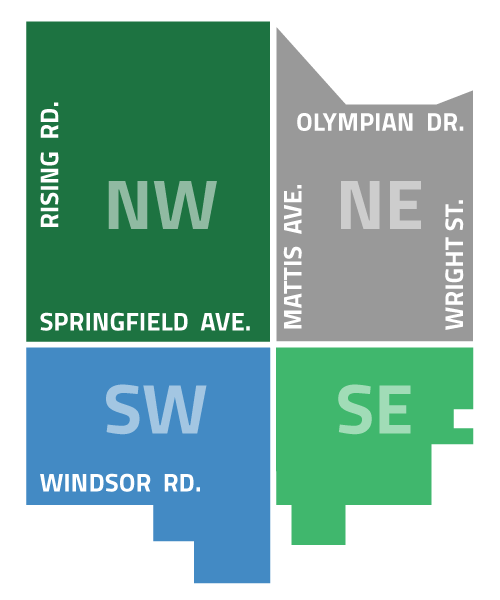 Information about resident and non-resident rates and the reciprocal agreement with Urbana Park District can be found on our Registration Page. 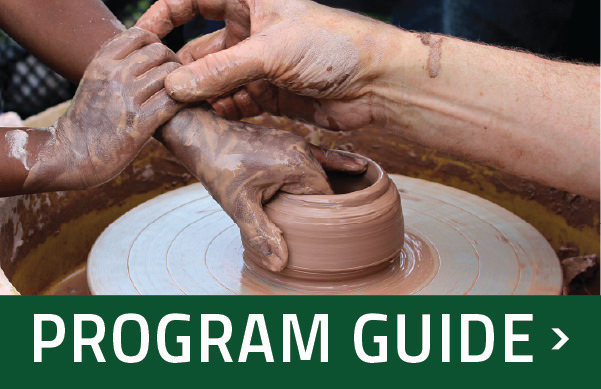 Membership is for one calendar year (January 1 to December 31). Fees are not pro-rated, with an exception to mid-season discount. Place the Dog Park ID tag on your dog’s collar. This tag must be present at all visits to the dog park and may be checked by Park District staff. Please complete the membership form below and bring to the Bresnan Meeting Center, Springer Cultural Center, or Leonhard Recreation Center with the appropriate documentation. The dog owner agrees to assume the full risk of any injuries, damages or loss connected with the use of the dog park. Owners are responsible for the actions of their dogs and are subject to state laws and local ordinances concerning dangerous or vicious dogs. Member dogs must wear both the Dog Park membership tag and county registration tag when in the park. Dogs must be leashed while entering and exiting the park. Members must have a leash on hand at all times. Dogs must be under the control and in view of their owner at all times. A member age 16 or older must be present at all times and is solely responsible for the actions of their dog(s). Children at least 6 years old and accompanied by a parent or guardian may enter the park. Dogs that exhibit vicious, fierce, aggressive, or dangerous behavior must be removed from the park. Excessive barking is strongly discouraged. For their safety, female dogs in heat should be left at home. Dogs at least 4 months old are allowed to play in the park. Scoop the poop! 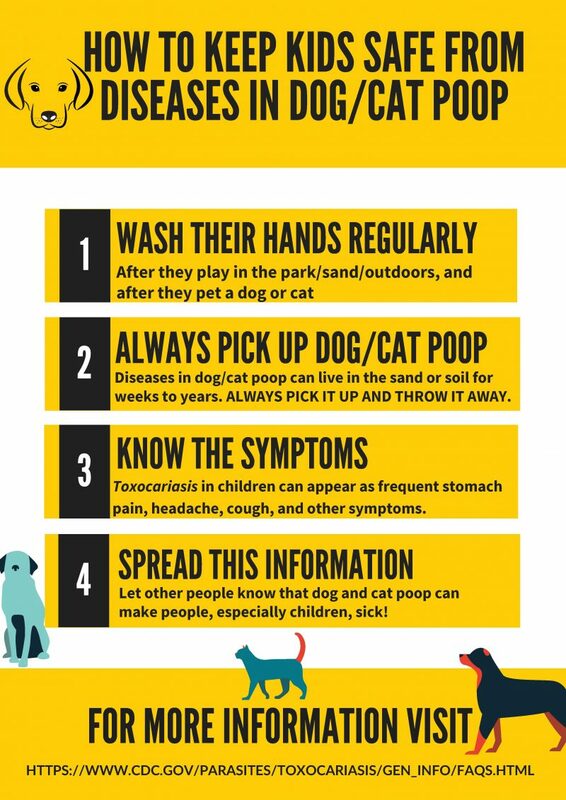 Help us keep the park clean and pick up after your dogs. The dog park is smoke-free and food free. Please leave all food, including dog treats, at home or in your car. Only three dogs per visit can accompany an adult. 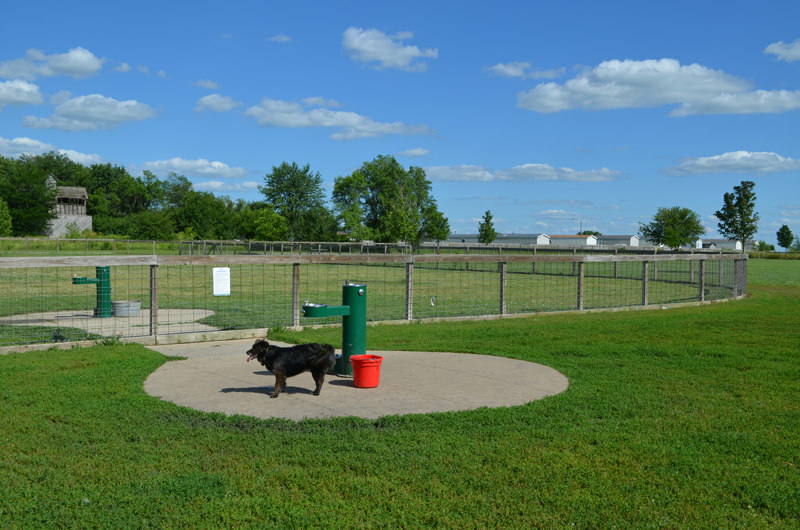 Dogs, owners, and users creating a disturbance or violating posted rules must leave the dog park if requested by law enforcement or park personnel. 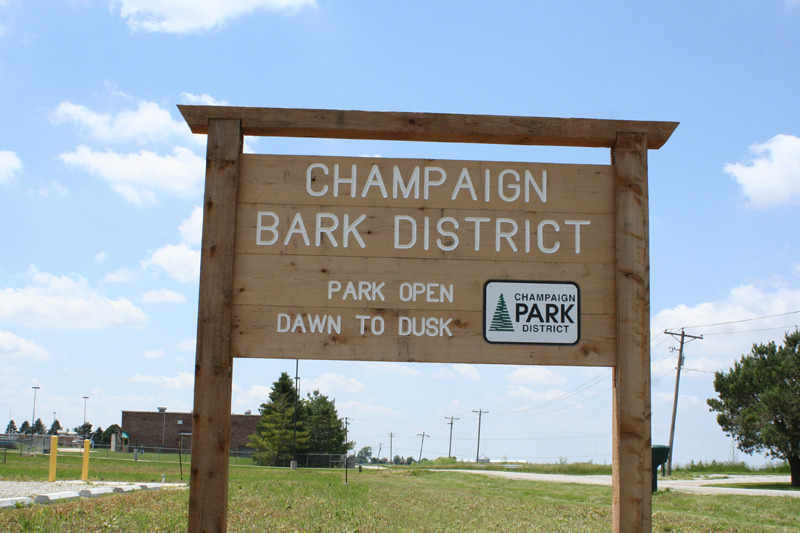 Your donation will help fund amenities in the first public area where dogs may legally run off-leash within the Champaign city limits. Help provide our best friends a stylish place to play – donate today! Donations will be recognized on the Champaign Park District’s website and other communication materials. Please let us know if you’d like us to list your donation as a pet memorial; send us a picture and we may be able to post it in the future.